Consumer Reports Calls Walmart’s Ol’ Roy the “Best Deal”… Oh, Really? Consumer Reports Calls Walmart’s Ol’ Roy the “Best Deal” — Oh, Really? In its August 2011 issue, Consumer Reports has called Walmart’s one-star rated Ol’ Roy Dog Food the “best deal”. 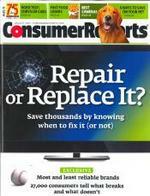 In writing this article, Consumer Reports researchers appear to have favored dog foods simply because they were cheap. Over virtually any other criteria. No matter the source of the food’s ingredients or the amount of meat contained in its recipe. These evaluators apparently believe that protein is protein. Fat is fat. And it doesn’t make any difference from where the ingredients come. So long as they meet the absolute minimum requirements to sustain life. And that price should be the main factor that defines a good dog food. If you’re comfortable with the belief that protein is simply protein, even if it comes from low quality agricultural by-products and slaughterhouse waste. Or if you believe that all fats are created equal — even if they come from fatty trimmings and low grade vegetable oils. Or that carb-heavy, factory processed dog food pellets are superior to fresh meat and produce. And if you believe (like I) that there’s something inherently wrong with using cereal mill rejects, floor sweepings, animal by-products, cancer-causing preservatives and restaurant grease to make dog food, then you have a right to question this Consumer Report’s recommendation. And you’ve got the good sense to make your own choice.